Roger Strain topped the field of 16 players, going undefeated 4-0 at the 4th annual Cicadas Sing tournament Saturday, October 30 in Austin, Texas. 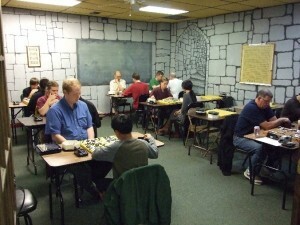 Four players tied for 2nd place at 3-1: John Zhang, Tracey Su, John Ruder, Peter Enyeart. Click here for a photo album.